Our senses are the most important tools we have to experience the world in all its glory. A colorful sunset, the scent of bacon frying, the pitter patter of rain or the touch of a cashmere sweater all tickle our senses and awaken our passion for life. But what if we can’t always slip out to the beach for a little walk in the sand? Or it’s a cloudy night, preventing us from watching a meteor shower? Are there vehicles out there that can safely drive us around the universe and have us home in time for dinner? Believe it or not, sometimes your television can be your escape. There are wonderful visual DVDs to be found here too; entertainment on both a visual and audial level. The Scenic Wilderness of the World (SN30373) lets you explore some of the most unique and inspiring landscapes on earth. Around the World (SN32453) provides a vivid portrait of 52 of the world’s most exotic and beautiful travel locations. And you don’t want to miss Scenic Cruises of the World (SN32454) as it takes a dream cruise around the world’s most dramatic coastlines to more than 20 countries, islands, and other dramatically varied locations. And, of course, we carry the ever-popular Ambient Fire (SN01932) and Ambient Water (SN01933) DVDs that immerse you in the sights and sounds of nature through a fireplace or an aquarium. We have Earthworks Scenery and Soothing Music DVDs (Paint the Sky, SN31226), featuring pictures of billowing clouds, colorful rainbows and unforgettable sunrises and sunsets, accompanied by harp music; Flowers Everywhere (SN31227), flow images accompanied by enchanting harp music, or Tranquility (SN32056), a DVD that takes you to a realm of peace and tranquility with mysterious fog-surrounded trees, gently flowing streams, and hidden waterfalls, all set to beautiful piano music. How can you not relax? How about a little bit of 3-D relaxing radiance? 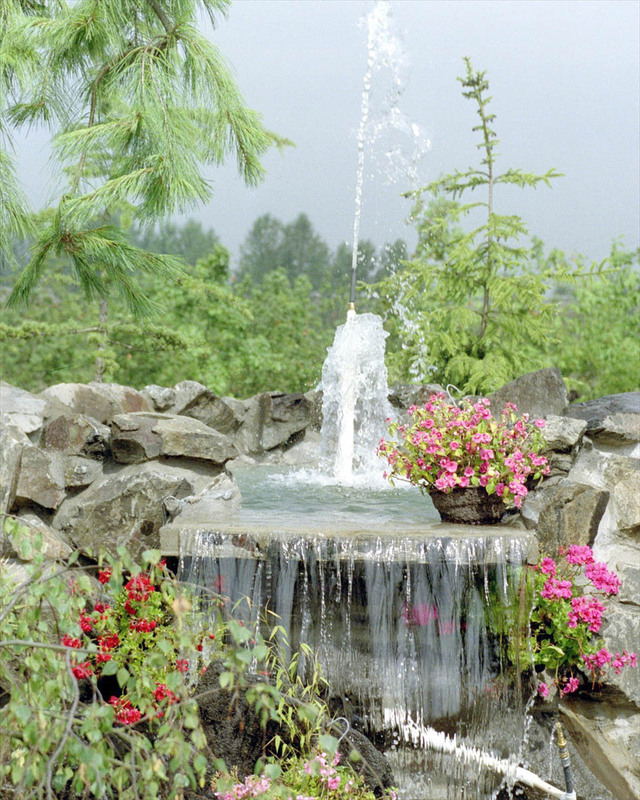 Little waterfalls and water gardens are reminiscent of the peace found in nature’s gardens. The sound of moving water has always put the capital R in Relaxation. Nasco carries a dryer version of eternal water flow with our Tabletop Water Panels (9715746); thousands of illuminated bubbles percolate inside six vertical chambers. Better yet, plastic strips included allow you to change the color of the bubbles in the panels. Our Radiance Lamps (SN30996, 13”H), or the floor version (SN30997, 40-1/2” H) are clear tubes filled with hundreds of acrylic rocks surrounding multicolored LEDs. Both enclosed water worlds could easily occupy a permanent corner of your room. Can’t get outside because of city lights, clouds or rain? Bring the super nova to you! The Supernova Color Changing Sphere (SN30016) creates fascinating, flowing patterns that will relax and soothe. Mother Nature tempts us with visual treats of her own. Make time to open the windows and breathe in the fresh air. Watch a thunderstorm approach in the distant sky. Watch snow pile up in the driveway or hang wind chimes outside your door. Never feel that time spent relaxing is time wasted. When you take time to breathe you take time to live. Questions on any of our products? Feel free to call our friendly Customer Service Center at 1-800-558-9595, or visit our website www.enasco.com.